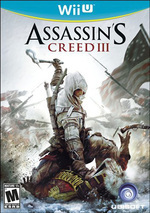 Assassin’s Creed III invites players to experience the untold story of the American Revolution through the eyes of a new Assassin, Connor. Designed from the ground up over more than two years, Assassin’s Creed III takes one of gaming’s most beloved franchises to new heights. The year is 1775. The American colonies are about to revolt. You are Connor, an assassin who has sworn to secure liberty for his people and his nation. To do so, you will hunt your enemies across a staggeringly large, open, and realistic world. You will unleash your lethal skills in a violent quest that will take you from chaotic city streets to blood-soaked battlefields in the hostile American wilderness and beyond. Assassin's Creed III pushes the foundations of the series forward in many new directions, and while a degree of these go sideways the title still manages to pull off one of the most impressive and immersive game worlds we've seen in some time. It's a shame that the Wii U version of Assassin's Creed III is so prone to bugs and performance hitches; fortunately, the joys of exploration still shine through, allowing you to get lost in the bustle of cityfolk going about their lives. Connor's story is one of unlikely alliances and broken traditions; Desmond's is one of urgent decisions and past regrets. 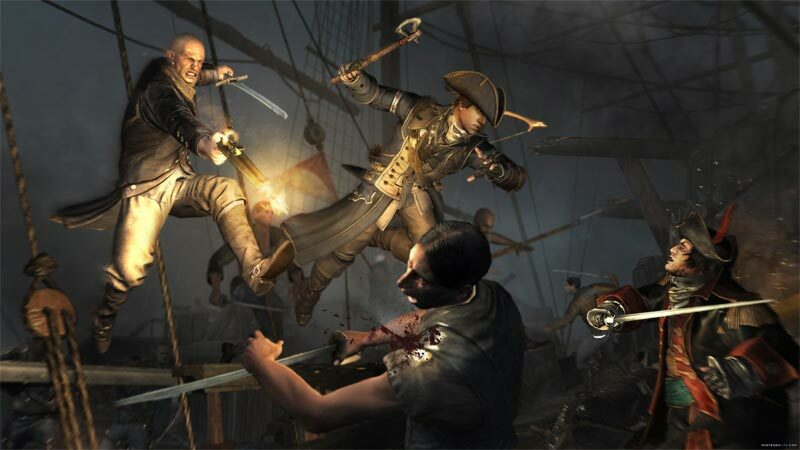 Assassin's Creed III is very enjoyable overall, but it’s not consistently brilliant. Not everything about the game gels together convincingly and the missions’ unnecessary prescriptiveness sometimes undermines the sense of freedom that the rest of the game works so hard to create. As a Wii U experience this is certainly one of the better launch titles. If you have yet to pick Assassin’s Creed and you recently picked up Nintendo’s newest home console it is definitely worth looking at. The perk of playing on your GamePad is a plus and apart from the lack of achievement/trophy hunting (if you’re into that sort of thing) I found it to be a solid experience that matches up well with its counterparts. 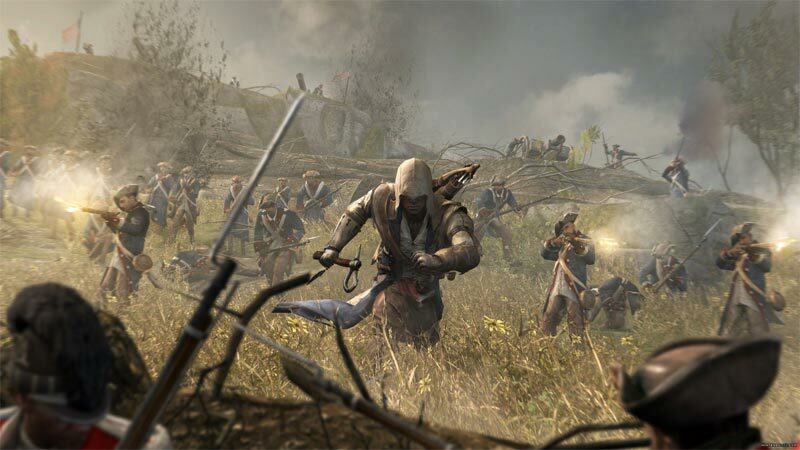 Assassin's Creed III is a technical marvel, and well worth playing, even if it doesn’t live up to the lofty expectations established by the Ezio trilogy’s success. Combat is incredible, and the cities of Boston and New York deliver some of the strongest open-world gameplay you’ll experience this generation. Assassin’s Creed III is a beautiful, sprawling adventure that proves to be one of the most, if not the most, ambitious titles ever created. Just when you think you have it figured out, an entirely new element is introduced that enriches it further, rendering it one of the least repetitive experiences to be had with a controller. 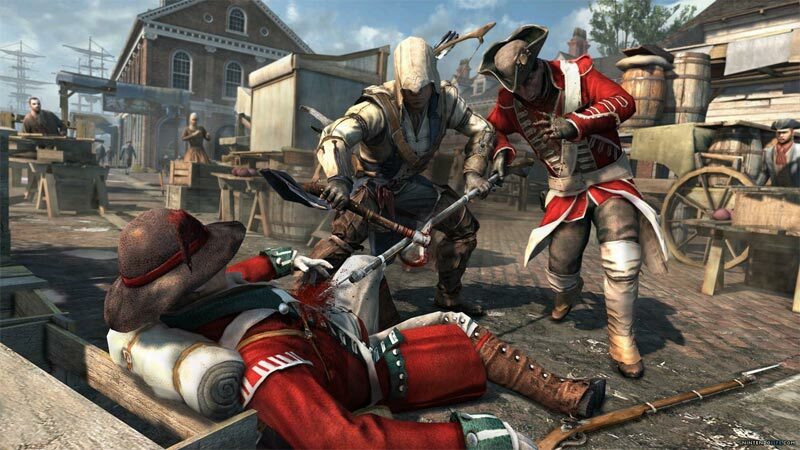 The Wii U version of Assassin’s Creed III doesn’t endanger what has made the game a masterpiece, and adds a few neat tricks of its own. The GamePad’s map and horse calling features are useful tools that you’ll enjoy, and being able to play it away from the television can’t be understated. If you’re going to purchase Assassin’s Creed III for a console, the Wii U version is the king of the hill. Assassin's Creed III en Wii U es un título tan notable como en el resto de versiones, un port con sus defectos y virtudes, sin demasiado arreglo de los aspectos que más se le criticaron, como la IA o los bugs. Gráficamente se comporta como la versión de PlayStation 3, reforzando eso sí las batalles navales, aún más espectaculares. Also sollte ich doch auf Wii U wegen eines schlechteren visuellen Gesamteindrucks als auf den anderen Konsolensystemen nicht abwerten? In der Theorie würde ich dies bejahen. Doch die deutlich niedrigere Sichtweite, die dadurch noch stärker ins Gewicht fallenden und damit störenden Pop-ups von Levelgeometrie oder Figuren und vor allem den neuen Bugs sowie die unstabilen Bildrate gehen zu Lasten der Atmosphäre - und damit einem wichtigen Teil meiner Motivation. Ubisoft a manifestement consenti plus d'efforts sur Assassin's Creed 3 que sur ses prédécesseurs et nous sort un épisode qui est sans doute le plus abouti de la série. Bénéficiant d'une IA plus crédible, d'une trame scénaristique soignée, de personnages complexes et travaillés, d'un contexte historique passionnant et d'une pléthore d'activités annexes, celui-ci devrait rapidement s'imposer dans le cœur des fans comme un véritable must-have. 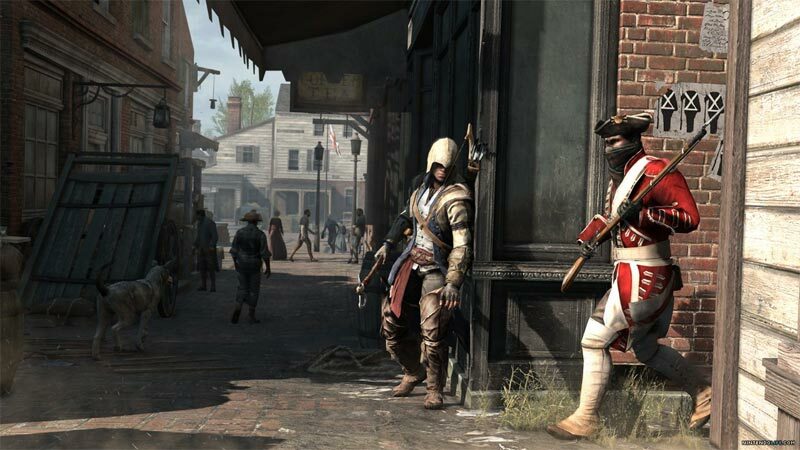 Mesmo que Connor não tenha o carisma de Ezio ou Altair, Assassin's Creed III é um jogo muito ambicioso, que inclui uma recriação fiel da Revolução Americana, grande diversidade de exploração, jogabilidade sólida q.b.. Apresenta uma história minimamente interessante, mas que exige algum conhecimento prévio e para os novatos da série serão perdidas algumas nuances relevantes. A pesare in modo particolare sul risultato finale è la mole di bug che mina costantemente la qualità dell'esperienza, con una frequenza nettamente maggiore di quanto non accadesse sulle altre piattaforme. Il gioco resta comunque splendido, in particolare se giocato sul GamePad in completo relax, ma il team lo avrebbe dovuto testare di più prima di darlo in pasto ai giocatori.